In the competitive New York City and Long Island real estate markets, knowledge takes on a whole new meaning. It goes beyond having market intelligence, data and analytics, and knowing what it takes to manage a property effectively. It encompasses knowing the right people – property owners, investors, national brand tenants, brokers, municipal officers, legal and tax professionals, and contractors – and having earned their respect. It includes street smarts – something you only learn through years of experience dealing with Manhattan, Queens, Brooklyn, and Long Island real estate. Knowledge means having a total understanding of the needs of your clients and the "know-how" to meet those needs. Everyone provides service, right? Wrong. There's service and then there is SERVICE. Pliskin Realty Development Inc's. standards are like no others. 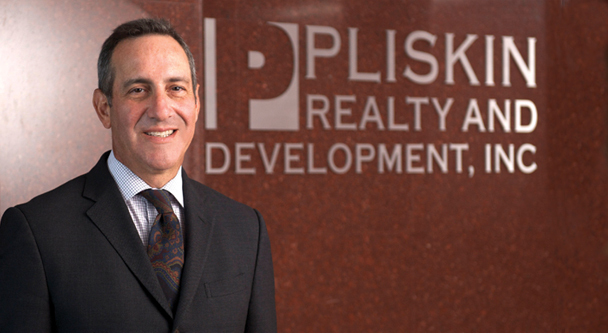 Pliskin’s brand of service is unparalleled in the New York and Long Island real estate market, and it entails: finding the right property for a brokerage client, or the right tenant for a property; getting the right deal done quickly, with the right numbers; and then providing essential support. For our property management clients, Pliskin Realty Management, LLC. affords peace of mind by alleviating the burdens associated with managing your own properties. Our "Best in Class" service encompasses executing a proven property management strategy that maximizes a property’s value and income, minimizes expenses and attracts/retains quality tenants, while saving a property owner both time, money and headaches. "A person is not given integrity. It results from the relentless pursuit of honesty at all times." (Unknown Source). At Pliskin, we realize that knowledge means nothing without integrity and our focus on service must be rooted in a principle of doing the right thing for all parties. Our reputation and our success were built on our integrity. The national brands, property owners and investors Pliskin represents know that we bring a sense of performance and fairness to every transaction we broker, every property we manage, and every service we provide. And our New York City and Long Island real estate clients know that we possess a deep understanding of their community - because it's our community too.